Locality Planning Energy (LPE) isn’t a new electricity retailer, but it is new to the residential energy space. Formerly, it provided power to solely strata and embedded energy networks, relevant to those who lived in apartment blocks and other housing complexes. But it’s now joined the ranks of residential electricity providers competing for your business regardless of which type of home you live in. LPE operates from Brisbane and retails electricity across the Energex electricity distribution network, covering South East Queensland. This means it’s not available to households on the Ergon Energy network in regional Queensland, but if you live in the Brisbane, Gold Coast, Sunshine Coast area, you’re able to choose your electricity retailer, and LPE is now one of about 20 to compare. While LPE is best-known for supplying strata and embedded networks, it’s now making a play for the residential electricity space, offering a single market offer in SE QLD called its ‘Principal Offer’. Following in the footsteps of numerous other providers, LPE’s Principal Offer comes with no conditional discounts, boldly claiming that it offers the “best rates upfront with no confusing discounts.” This trend in energy retail appears to be a consequence of criticism of some big discounts that haven’t resulted in the savings consumers might expect. The Principal Offer from LPE comes with variable rates, meaning prices can be changed at any time. So, it’s best to regularly check back to make sure you’re getting the best deal. But what’s good about LPE is that without any exit fees or contract terms, should the need arise to switch away, you shouldn’t run into too many problems. One thing to note is that LPE’s market contract offers the option of monthly billing, suitable for those who would rather service their electricity bill regularly, rather than in quarterly sums. Its fees seem pretty much standard fare, including a flat $14 late payment fee. Unlike a lot of other providers, LPE does not offer an online sign-up or chat function, and its website doesn’t outwardly display its residential plans – rather it offers up a phone number in which you can ring to follow up. So, how much can you expect to pay with LPE electricity? The cost below is based on a typical three-person household on the Energex network in Brisbane. Use our comparison tool above for a specific quote in your area. And check out electricity price report for Queensland to see how LPE stacks up compared to other residential providers in the state. LPE offers Queensland solar customers a feed-in tariff of 10c/kWh. This is higher than some providers but well below some of the biggest feed-in tariffs in the state. As mentioned, outside of its residential offerings, LPE offers electricity within embedded networks. It boldly claims “we guarantee we will save you money and provide you the best and fairest deal”, promising to work with customers to provide the right service and reduce network charges. LPE treats all of its sites individually, meaning the electricity rates it offers may vary, so you’ll need to contact LPE by phone to get personalised information. Once it’s set up, LPE customers can pay their bills online or over the phone using their credit card. Should I switch to LPE? When considering switching energy providers, it’s best to take one cautious foot forward at a time, and when looking at LPE, it should be no different. If you’re sick of navigating around discounts and aren’t really sure when you are and aren’t getting a good deal on your power bill, a no discount plan like LPE’s Principal Offer could be right for you. 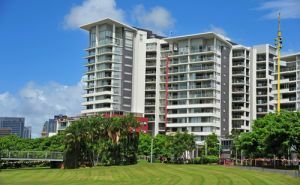 LPE’s rates aren’t the lowest available to Queenslanders, but they’re a far stretch from the highest, so it’s safe to say its market offer is reasonable. 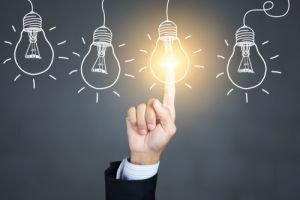 But whilst switching based on price may be an action driver for a lot of Australians, what you might not consider is what your energy provider can offer to also make things easier for you. 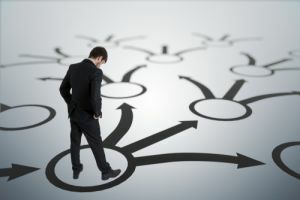 What’s good about LPE is that if you do decide to switch, you won’t pay connection fees to get going, which can often be an annoying expense that negates some of the value you’ll earn by going after a better deal. And with no contract terms or exit fees, leaving your plan should be just as cost savvy as signing up. However, if you’re looking for a digital electricity and billing experience, you might want to keep looking, as LPE seems to put a bigger emphasis on its phone customer service than online. The bottom line is that you’ll likely be choosing a plan either based on price or other value indicators, and luckily for you, Canstar Blue’s electricity comparison tool lets you sort based on either. Follow the link below to get started.